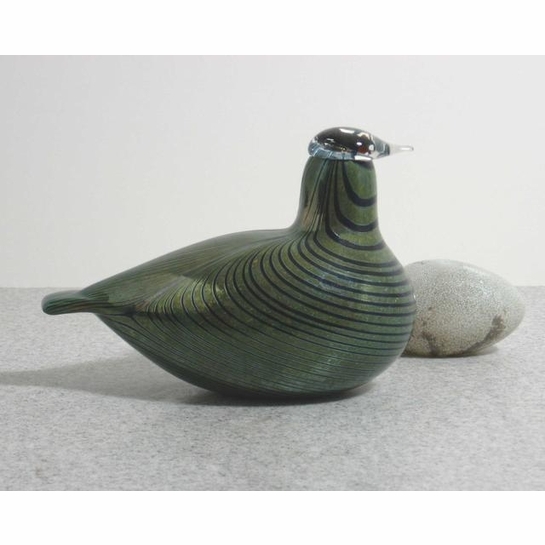 More about iittala Toikka KOP Middle Size Bird Many birds were designed for the Kansallis-Osake-Pankki (KOP) bank in Finland, which is why this one is named Middle Size to differentiate between them. 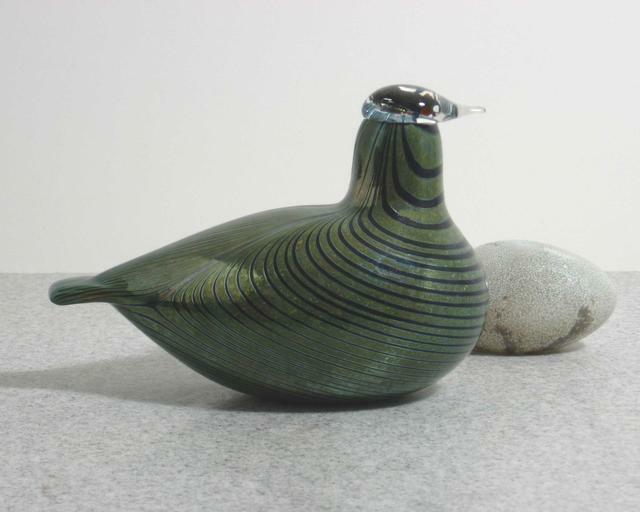 Like the big and small birds for the company, it is an iridescent green. It was made in 1986 and sold only during that year, making it a special edition Toikka piece.